Frogwares’ Sherlock Holmes series are often a bit rough around the edges, but usually compelling fare nonetheless. There’s no sociopathic Holmes or over the top action sequences punctuated with explosions, so it’s certainly a lot more representative of Conan Doyle’s character than recent movies or TV shows. 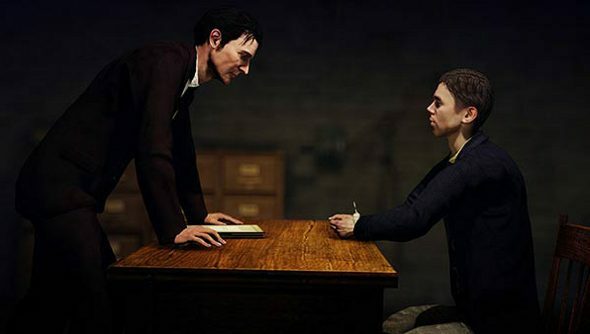 The latest in the series is Crimes & Punishments, and so far it seems like it could be Frogwares’ most polished installment, adding a slew of new features to the consulting detective’s deductive arsenal. It also looks rather nice, with extra attention being paid to textures on objects and clothing. There’s a practical reason for this – as these details are key to solving crimes. Frogwares’ has put together a 20 minute walkthrough – absent spoilers – showing off what Holmes and his buddy Doctor Watson can get up to in Victorian London and the surrounding area. Take a look below. The more involved dialogue sequences – letting Holmes employ deductive reasoning during conversation – is a nice touch. And while it’s using Unreal Engine 3 rather than 4, the characters certainly look more lifelike than they have in previous games. I’m keen to see how helpful the disguises are, too. Holmes has played dress-up before, disguising himself as a down-and-out to gain insight from those living on the streets, but this time it looks like his choice of clothing is up to the player rather than thrust on them as part of the story. Sherlock Holmes: Crimes & Punishments is due out at the end of September.